"They clung to their ghvino (wine) with such a passion you’d think it was their blood." The name "Georgia" may derive from Persian and Turkish versions of the name George, respectively Gorj and Gurju, and which the Russians later named Gruzia. It is possible that sometime during the Middle Ages, the country became known to English speakers as Georgia rather than Gruzia. Georgians though refer to their country as Sakartvelo ("the land of the Kartvelians") and themselves as Kartveli. This refers back to the ancient kingdom of Kartli, in Eastern Georgia, which the ancient Greeks and Romans called Iberia. The capital city of Georgia is Tbilisi, which was founded in the 5th century, and the legend of its creation claims that King Vakhtang Gorgaslani, while on a hunt near the Kura River, killed a pheasant. When he went to find the bird he had slain, he found that it had fallen into a hot spring and had been cooked by the waters. The King felt that it was a fortuitous location, and he chose to found a city there, calling it Tbilis-kalaki, the Warm City. 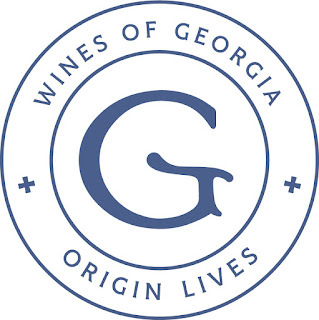 The ancient people of Georgia worshipped Aguna, a deity of viticulture and wine-making, which some people have compared to Bacchus/Dionysus. In parts of Georgia, Aguna was known by other names such as Aguna-Angura in Racha-Lechkhumi and Nunua, Jujelia in Samegrelo. Harvest time would see rituals and animal sacrifices to this deity and theatrical performances of these ancient rituals can still be seen in modern-day Georgia. Christianity came early to Georgia, with King Mirian III, in 337 A.D. declaring it to be the state religion. Before this time, one of the first missionaries who traveled to Georgia to spread Christianity was Saint Nino, who allegedly came to the country carrying a cross tied with dried grape vines, creating a long lasting link between wine and the church. "Zedashe is what the Georgians call sacramental wine. Where church wine is historically awful, in Georgia it was supposed to be the purest and the highest quality. In most traditional wineries there was always one qvevri dedicated to sacramental wine and intended for donation to churches, as well as for use during holidays." The Shilda Winery is located in the village of Shilda in the Kakheti region and its mission is to revive endangered Georgian grape varieties. They also produce five kinds of Georgian brandy. The beautiful wine labels have artwork from a famous Georgian artist, David Kakabadze. The 2015 Shilda Manavi Mtsvane was fresh, dry and crisp, with pleasing notes of pear and spice, with citrus accents. Easy drinking and tasty. The 2015 Shilda Kisi was another delicious white wine, with more juicy peach notes, and intriguing spice accents. Easy drinking, with a moderately long finish, there is a hint of the exotic which helps to elevate this wine. The 2015 Shilda Mukuzani Saperavi, which is aged in oak for about a year, possessed an alluring aroma of black fruit and spice. On the palate, the ripe plum and blackberry flavors were prominent, assisted by a spicy backbone and hints of vanilla. Full bodied, but with restrained tannins, this is a wine you want with meat. 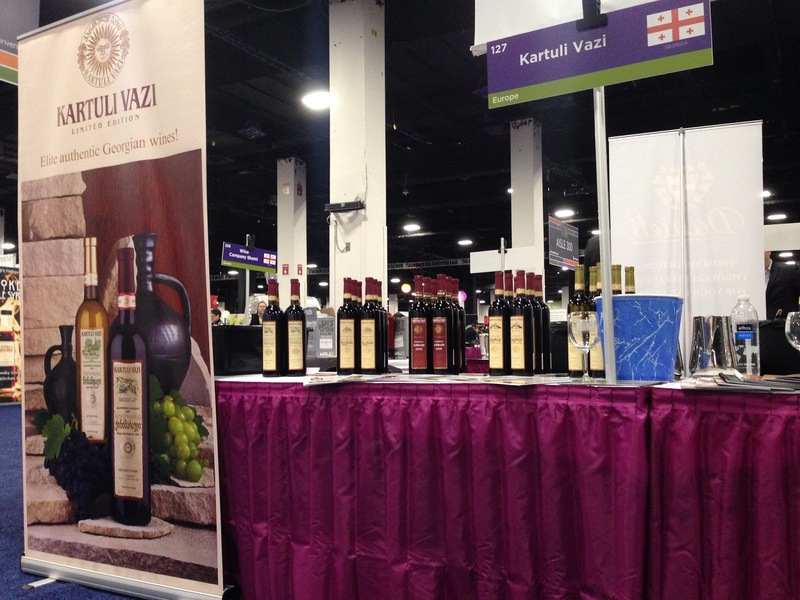 Kartuli Vazi Winery produces wine from both Racha-Lechhumi in Western Georgia and Kakheti in Eastern Georgia. They combine ancient traditions with modern technology. The 2013 Kartuli Vazi Tsinandali is a blend of Rkatsiteli and Mtsvane, and is easy drinking with tasty pear and mild spice notes. The 2016 Kartuli Vazi Saperavi, with a pleasing fruity aroma, is also easy drinking with fresh red fruit flavors and a hint of licorice. The 2013 Kartuli Vazi Mukuzani Saperavi, which spent about 6 months in used oak, is a bigger wine, though still with low tannins, and ripe flavors of plum and black cherry, with hints of spice. Delicious, it would be an excellent pizza and burger wine. Kakhuri Gvinis Marani, which means Kakhetian Wine Cellar, was founded about 9 years ago and owns vineyards in the Kakheti region. The winery is located in the town of Gurjanni, on the road to their vineyards in the Alazani Valley. The 2009 Tsinandali, a blend of Rkatsiteli and Mtsvane, was matured in oak yet it remains fresh and elegant with alluring aromatics. On the palate, there are tasty peach and pear flavors, with spice accents, and this wine would pair well with seafood. An intriguing complexity, a lengthy finish and soft tannins. Highly recommended. The 2014 Manavi is also a blend of Rkatsiteli and Mtsvane, though with a higher proportion of Mtsvane. It was more aromatic, with stronger herbal notes on the palate, along with apple and pear flavors. It wasn't as complex, but was easy drinking and pleasant. The 2013 Saperavi was also an easy drinking wine, with predominant red and black fruit, mild tannins, and a hint of smoke on the finish. A fine pizza and burger wine. On the other hand, the 2009 Mukuzani, which spent three years in oak, was a much more complex wine, elegant and impressive. It was silky smooth, with notes of ripe plum, black berry, mild spice, and a touch of vanilla. It has an exotic accent to it, a lingering finish, and is definitely a wine to slowly savor. Highly recommended. The Tbilvino Winery, founded in 1962, is one of the largest wine producers in Georgia as well as the largest exporter. It operates two wineries, under a couple different brands, including Georgian Valley wine. 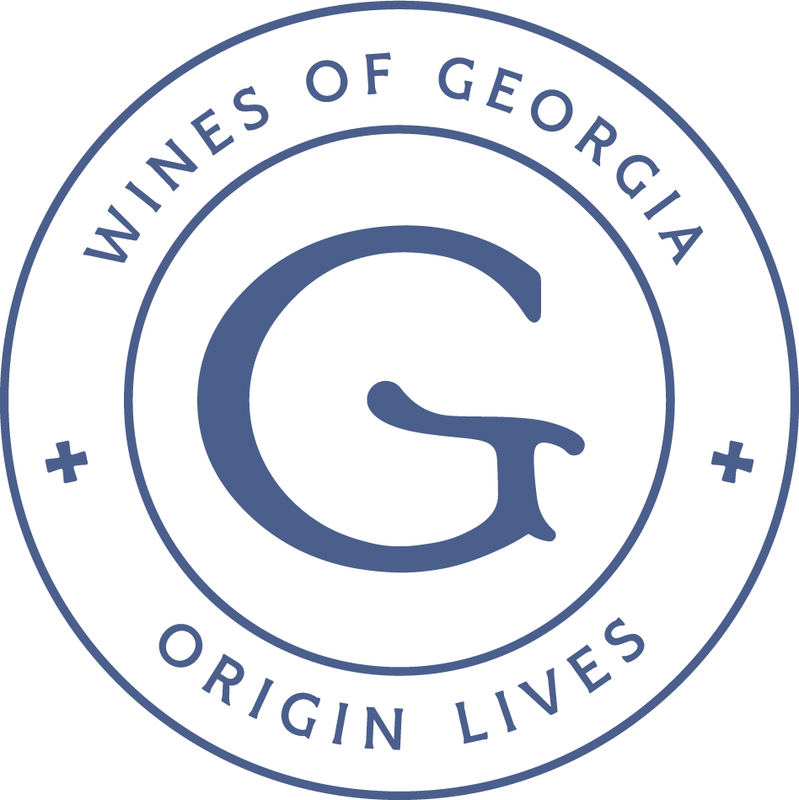 Their history extends back to the Soviet era, when the largest wine factory was launched, eventually producing 90% of the wine in Georgia. When Georgia attained independence, the company became independent, and 1999 was their first harvest as a new company. The 2015 Tbilvino Rkatsiteli was fresh and crisp, with tasty stone fruit flavors, accented by mild spice notes. An easy drinking white, good for seafood or just enjoying during the summer. The 2014 Tbilvino Qvevri Rkatsiteli offered a more unique taste, with more prominent spice and herbal notes, and mild stone fruit flavors. It was still crisp and dry, but offers more complexity and would pair well with roast chicken and other poultry dishes. The 2015 Tbilvino Saperavi was fresh and fruity, an easy drinking wine with tasty red fruit flavors and a bit of spice and vanilla. A burger and pizza wine. In comparison, the 2014 Tbilvino Saperavi Special Release, which was aged in oak for ten months, is a more impressive wine. With a nice depth of flavor, the wine presents with flavors of black cherry and plum, mild spice notes, and a hint of smoke. The tannins are well restrained, the finish is long and satisfying, and there is so much going on in this wine. You'll want to pair this wine with a hearty meat dish, such as a grilled steak, though you could also drink it on its own, enjoying every supple sip. Highly recommended. The Qimerioni Winery, which was founded in 2011, was named after an artistic café that opened in Tbilisi back in 1919 by the group of acclaimed Georgian poets and artists. They create wines using indigenous grapes, most from vineyards in the village of Chumlakhi in the Gurjaani District of the Kakheti region. They also produce two types of chacha, a Georgian brandy. The 2012 Qimerioni Tsinandali, a blend of Rkatisteli and Mtsvane, is fresh, crisp and dry, with apple and pear notes, and hints of spice. Easy drinking and tasty. The 2013 Qimerioni Qvevri Gora Saperavi is also easy drinking, but with rich black fruit flavors, plenty of spice, and a mild earthy undertone. Drink it with a steak or ribs. The 2012 Qimerioni Mukuzani is more complex, elegant and intriguing, with silky black fruit flavors, a spicy backbone, and a lengthy finish.